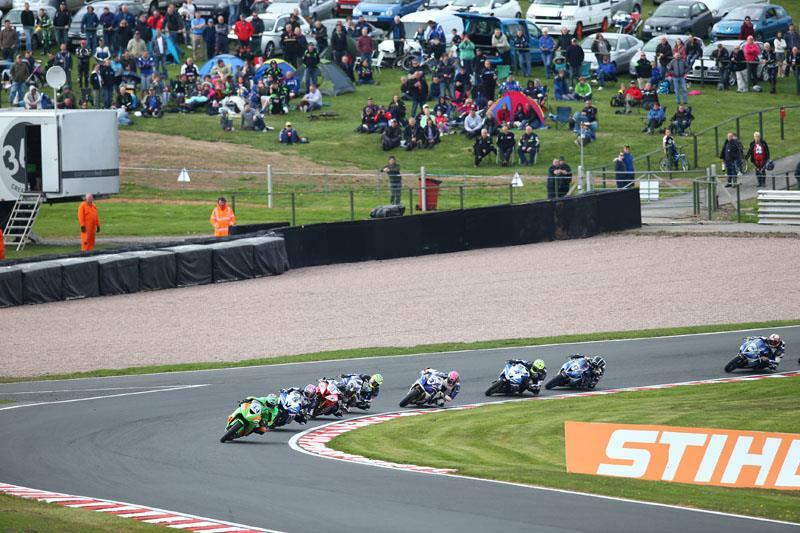 Alastair Seeley took an exciting win in today's British Supersport race, just pipping Martrain Yamaha rider Stuart Easton at the last corner to take the victory and break Easton's win streak. Pole position man Alastair Seeley led off the line, with Glen Richards and Stuart Easton chasing him down. Richards blew past the Kawasaki of Seeley at the end of the first lap, starting a battle that saw them trade places continually over the following laps. However, by the end of lap three, Stuart Easton has came past Richards, before forcing his way past Seeley too to take the lead. As Seeley tangled with Richards, Easton was able to pull a lead of a second to make a small break. By the half-way point, Billy McConnell had come thorugh to catch teammate Richards, battling for third and changing places repeatedly, while a series of fast laps had allowed Seeley to close in the distance to Easton. He made his move at the end of lap nine, taking the Scotsman at the last corner. They then set into a rhythym, pulling out a seven second gap on the battle for third as they matched each others' lap times. Easton left it to lap 15 to make his move, going wide into the first corner, and getting the drive to power past Seeley. He then rode a brilliant defensive last lap but couldn't keep Seeley behind him, as the Northern Irishman forced himself up the inside at the last corner and managed to keep his line to take the win by 0.06 seconds. McConnell held off a late-charging Jason O'Halloran, who managed to pass Richards to take fourth, while Graeme Gowland was sixth, ahead of a brilliant ride to seventh for Ben Wilson from the back of the grid.